The Bway musical withered and nearly died in the 1980s. There were hits, sure, but they were flukes, or compensations, or junk food. Sondheim continued to thrill the culturati, but the last of the Golden Age class were fading out. Jerry Herman took a final victory bow--phew! Cy Coleman had hits at the beginning and end of the decade, but nothing between. Kander & Ebb were running on empty, and Charles Strouse had nothing but bad luck. The paramount news--and the most telling of Bway's desperation--was the wholesale embrace of British imports. But as far as most of America was concerned, Bway wasn't where it was happening. Few cared anymore. I was among them--tho its hold on me still meant I had one eye on the Rialto. My 14 visits to NY over the decade led to 65 theater trips, but there were other lures for me in Manhattan as well, including close friends, brief romances, hopeful connections, and trafficking in the uptown/downtown shuffle. 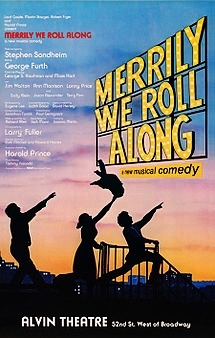 Of the 16 new Bway musicals I would see in the '80s, four would be made into movies (and will be gotten to in good order); and most of the others, if not outright flops (yes, Merrily We Roll Along, but also Chess, Smile & Grind) were half-season stumbles (Baby, The Rink.). 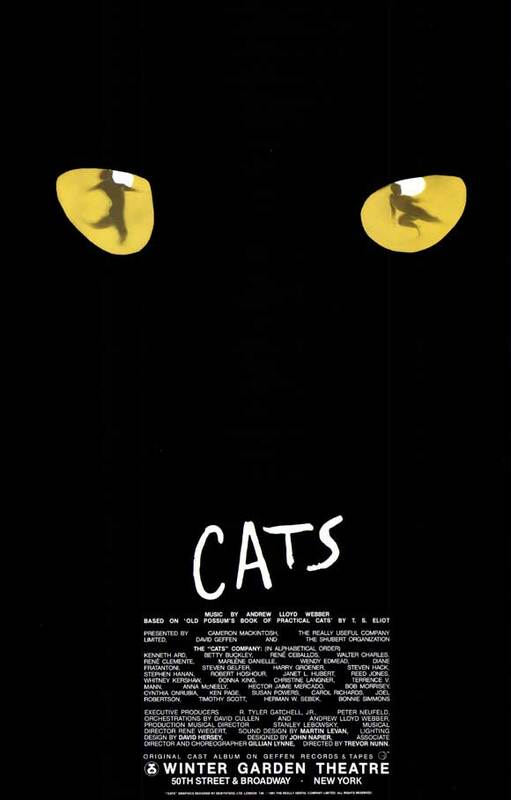 Something about the climate, or just my own intellectual snobbery turned me off to the populist "tourist" hits: 42nd Street, My One & Only, Les Miz, Phantom; tho I did see Cats very early on before it became a toxic joke. films such as. . . 42nd Street. Despite running longer than Fiddler and Grease the show wasn't catnip to Hlwd. Essentially a revue of Harry Warren/Al Dubin songs thrillingly staged by Champion, hung on a hoary plot of cliches, it was great stage fun for the nostalgically-inclined, but not a sell to the multiplexes. Still it might have been considered in a more welcoming time for screen musicals. 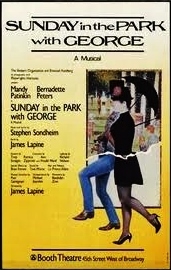 Stanley Donen attempted something like it in Movie, Movie--and found little market for it '78. Champion had found a way of transforming the '33 film in all its oversized surrealism into a Winter Garden-size tap extravaganza. From Hlwd to Bway, with Love. P.S: They don't need it back. 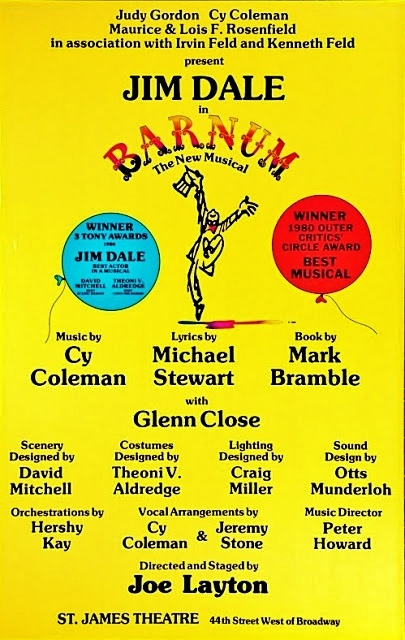 Mark Bramble who co-wrote 42nd Street, (with Michael Stewart) also conceived & wrote Barnum, which opened just 4 months earlier. That the name was still known to nearly one & all, was a testament to the 19th century's greatest showman, whose story seemed a natural musical. Producer Alex H. Cohen, who fancied himself in David Merrick's league (he wasn't), tried to get a show out of it in the'60s, going so far as to announce it arriving in tandem with the NY World's Fair. Nothing came of it. Years later Mark Bramble, who got his start working for Merrick would pick up the mantle, and see it to completion. Altho PT Barnum cycled thru various businesses called Show, he came to his most lasting venture with Bailey very late in life. Yet Bramble structured the show in the frame of a circus, with sideshow acts on & off-stage, a chorus of jugglers, acrobats, aerialists and clowns, set in a Big Top tent. My antipathy to such sawdust and tinsel made it hard for me to find much enthusiasm for Barnum, despite my high regard for Cy Coleman's Bway ouevre--especially coming off a career best with On the 20th Century. But this, along with I Love My Wife are among my least favorite of his scores-both of them, curiously, to lyrics by Michael Stewart; both somehow feeling lazy. Everything sounds like a pickup from somewhere else: "Come Follow the Band" a retread of I Love My Wife's "Hey There, Good Times." The tongue-twisting "Museum Song" recalling "Flash, Bang, Wallop" from Half a Sixpence. Jerry Herman is emulated several times over: "One Brick at a Time" could have come from Mame or Dear World. "The Colors of My Life" sounds like "I Won't Send Roses" on another day, "Join the Circus" a rewrite of Mack & Mabel's "Big Time." Busy production numbers that feel more generic than memorable. A last triumph (if not final show) for director- choreographer, Joe Layton, Barnum was a modest two-year hit, that first brought Glenn Close to public attention--tho not in any way that predicted the level of stardom she would soon reach. To be fair she was saddled with a charmless part; a stringent wife--in contrast to Jim Dale's boundless enthusiasm. The show seems too much a story of a marriage--and not an interesting one at that. Jim Dale was regarded a Star--and for the purposes here, he was, winning a Tony in the kind of part that Robert Preston might have played at an earlier time. Talented as he was, I never saw much in him to get excited about. And apparently, neither did Hlwd. There isn't much characater in the story, just a series of "And then I did..." bits, presented as center ring acts, which no doubt didn't lure any studio buyers. Yet, the length & breadth of Barnum's biography has ample cinematic possibility. Whatsmore the role is wide open to casting. You can just as easily imagine Bill Murray as you can Warren Beatty or Dustin Hoffman, William Hurt, Steve Martin. Or just about any other Hlwd leading man. But then given the times, and the lack of studio interest in musicals, it would've been more likely that such a project would be started from the ground up and a very different PT Barnum story told, in a very different way. 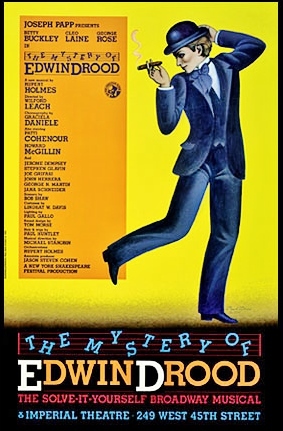 As was now more common than not, the show was filmed for television, in this case by the BBC, with the London production starring Michael Crawford (available to one & all on YouTube) filmed with a live audience. Watching it now hasn't elevated my opinion of the musical--nor, to be honest, its carney staging--but surprisingly put me in favor of Michael Crawford, who maintains a credible American accent and is more appealing here than in anything else I've seen. The score is peppy, tho the OCR suffers from abysmal orchestration. It announces itself with a hollow blast--daring all but the most dire of Show Queens to refrain from cringing. But some of K&E's songs land with flair. "It Isn't Working" has a nice bass line propelling its intention as "buzz." "I Wrote the Book" is a ragtime stroll, too upbeat for the blues, tho the lyrics are about the Man Who Got Away. Ebb's lyrics have an unusual amount of contemporary references, much like Cole Porter's Roosevelt-era scores. A practice that has nearly disappeared at this time. "One of the Boys" is a textbook Big Lady number, one in which Bacall gets thrown around by those who can dance, in a whirlwind of worship. And "The Poker Game" is a jaunty brisk waltz (tho a poor cousin to Fiorello's "Politics & Poker"). But I'm not sold on "The Grass is Always Greener," as either tune or punchline parade. 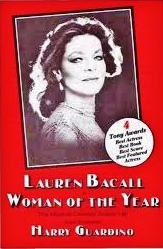 The duet, performed by Bacall & Marilyn Cooper--the longtime Bway trouper whose one leading role (tho in a large cast) was I Can Get it For You Wholesale--and we know who stole that one. Twenty years later Cooper got a Tony for her turn as housewife in curlers; with a single duet--"surefire" but somehow hollow. (Does Bacall really envy the skill of making meat loaf?) But where once upon a time, Rosalind Russell could find triumph on Bway after a sagging film career, and see her Hlwd fortunes spectacularly revive, Bacall had no such luck--if even she wanted it. Of course Hlwd wasn't buying anymore Big Lady tuners--middle-aged ladies had enuf trouble getting any parts in movies. Woman of the Year didn't even get the TV treatment like Applause had (to little impact). Kander & Ebb's following project was a contemporary mother/daughter psycho-drama. 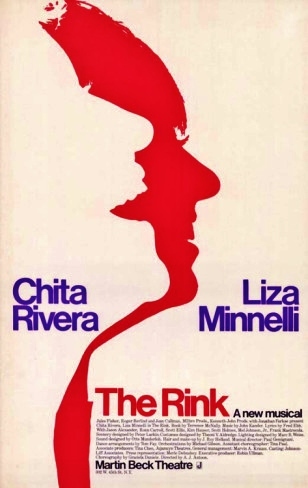 Marrying songs to a book by Terrence McNally, The Rink was a musical mismash meshed to two outsized Bway personalities: Chita & Liza. The two had played beautifully off each other during the weeks Liza had taken over for the ailing Gwen Verdon in Chicago. Chita was a legend who hadn't yet won a Tony (she would here) but like Barbara Cook, curiously, not a big box office draw. Liza was. But the show was written to Chita's strengths, not Liza's--her part here less Star than character actor (a hardened version of Sterile Cuckoo's Pookie Adams--on the verge of middle age). In confrontation, commentary and flashback, McNally's book has the two women rehash their history all evening in detailed, but somehow uninteresting specifics--centered around a dilapidated roller rink--as some sort of metaphor (or is it?) for their relationship. The score is full of pleasant, undistinguished, recognizable K&E numbers, many steeped in narrative details, mini-dramas in song; some nearly dreadful ("What Happened to the Old Days?" "All the Children in a Row"); others ghosts of tunes from previous K&E musicals. "The Apple Doesn't Fall" looks to replicate the crowd-pleasing duet from Woman of the Year--but this time is even more blatant pandering. Only one song comes thru with such shattering clarity that it puts the rest of the score in the shade. The melodic line of "(Gee, It's Good to See You) After All These Years" grabs the ear after so much ho-hum to remind what a great tune sounds like. It feels so solidly classic, one could mistake it for a old standard (and would have worked well in the vaudeville-rich Chicago). The irony is the song is virtually a throwaway in The Rink, sung by neither star but only the six-man chorus. Along with the headliners this was the whole cast (8--count 'em--8), another sign of the dire economic times. But even Liza's name and Bway return couldn't push the show beyond a six month run. By the '80s her run as a Hlwd Star was already over (despite Arthur) and The Rink wasn't going to resuscitate that. Stephen Sondheim--in collaboration with Hal Prince--barreled thru the '70s building an untouchable portfolio of evolutionary shows. Yet the knives were out for them in '81's Merrily We Roll Along. I managed to catch the 9th of the 16 original Bway performances and found it more pleasing than any Sondheim I'd seen since Company. That both were written by George Furth says something about my taste in Sondheim's librettists (Hint: problematic). Merrily also brought out a brighter, livelier, more "Bway" score than any Sondheim had written in awhile. And tho I could see minor problems in the show, it hardly seemed deserving of a quick flop. What it had really needed was an out of town tryout. But the '80s economics combined with the dying market for Bway musicals made luxuries like tryouts ever more obsolete. And in the end, Merrily was doomed for the masses by being at odds with itself. On surface, a bright bauble of Musical Comedy--a show about kids, as Hal Prince's wife requested--but one with as much patented Sondheim cleverness and nuance; in this case playing with thematic deconstruction as the show moves forward and the story backward. It's not a stretch to say it's too smart for its own good. Over the years numerous revisals and stagings have materialized to earn the show cachet and enter the Sondheim pantheon. But tho the medium of film would suit such a peripatetic narrative, it's not likely we're going to see a movie version. And yet it's entirely likely that in the technologically accessible universe of tomorrow some young, future Sondheim fan(atic) will be able make their own complete film of Merrily We Roll Along using a phone or laptop. Merrily also effectively severed the Prince-Sondheim team, setting Steve into orbit with James Lapine; a shift even further from the heart in favor of the intellect, as their initial work, Sunday in the Park With George, demonstated. I saw it the month it opened on Bway at the jewelbox Booth Theater, where I'd had the pleasure of my first Bway play, and many others since. I even had a center orchestra seat, primed for something great. My later friend, Larry Rubinstein, said it best: "Every consideration was made. . . except for the audience." But there is an audience that reveres this musical, just don't count me in. Tho an "Art" musical in every sense, my appreciation of Sondheim's pointillist score is severely compromised by my boredom. This wasn't a show about which anyone was bound to say: now that's entertainment! Sondheim's spiritual predecessor, Marc Blitzstein, found little love for his genre-stretching shows in the climate of the Golden Age, when popular art met high culture. By the 1980s that was over, and Bway was more embracing of evolutionary musicals, tho they did little to bring in more than the culturati. It was starting to look as if Bway was turning into the caviar boutique that Grand Opera had become. Soon, it might need to be supported by billionaire donors--the very point of "Putting It Together," the tirade of commerce vs. art; the artistes lament that Babs so related to, she had Sondheim write her new lyrics for her Broadway album. Seeking a story in Georges Seurat's defining painting, Lapine could find none other than in the artist himself, deconstructing the creative process. Consequently there are really no characters other than the simple narratives Seurat gives each figure; and Dot--his model & mistress, who is sloppy seconds to his Art. Girl loves boy, but boy loves brush. Even this is stretched thru a long act, before climaxing in a breathtaking tableux vivant. Yes, it's a spectacular piece of stagecraft, but not much of a show. And then to make an evening of it, Lapine saddles us with another act, set one hundred years later (reminding how much more interesting this was in Caryl Churchill's Cloud Nine) hammering the point of "Art Isn't Easy," via tribulations of Seurat's invented grandson coming to what Ethan Mordden calls a coup de grace ending, in which "art thanks the artist." Isn't this the ultimate narcissism? Lapine's masturbatory libretto went hand in hand (in foot) with Sondheim's score; which to my ears is irredeemably dreary, if not simply irritating. By the time Mandy Patinkin starts barking in "The Day Off" I am over it. Add to that: Bernadette Peters, howling "George!" at least a hundred times, with all the warmth of Albee's Martha scowling at her husband, and this youthful enchantress (so recently at her peak in MGMs '81 film, Pennies from Heaven) shows her hitherto untapped capacity for annoyance. "Sunday" which accompanies the painting coming together, is of course, the score's one grand gesture (and I grant you, a beautiful one)--which proves how narrow the concept is. Still, appropriately housed at the intimate Booth, Bway's tiniest house, the show ran as long as A Little Night Music, and likewise, developed rabid devotees. That devotion hasn't been translated to cinema, (at least not yet) tho like other musicals of the time (particularly those by Sondheim) the stage production was professionally filmed and shown on PBS only 6 months after the show closed on Bway. It had been hard times for Jerry Herman on Bway since Mame. After three undeserved flops in a row, it was a joyous occasion that La Cage Aux Folles scored another smash for Herman--who never again took the chance to wrap up his career on a lesser note. At least the Tony voters valued its entertainment value over the pretentious Sunday in the Park, and the show ran for years. But Hlwd's anti-musical climate of the '80s & '90s can be the only reason that La Cage wasn't brought to the screen. It began as a hit Parisian play, which became a hit French movie that broke all foreign film records when it hit the States in '79. It even (astonishingly) got director Eduardo Molinaro an Oscar nomination over Martin Ritt (Norma Rae), Ridley Scott (Alien), Hal Ashby (Being There), Mark Rydell (The Rose) Milos Forman (Hair) James Bridges (The China Syndrome) and Woody Allen for Manhattan. Two French film sequels were made in '81 & '85, but it was only five years after the original that Bway had its musical version. Given that it was produced by Allan Carr--who turned Grease into Hlwd's musical box office champ--why didn't he bring La Cage to the screen? I saw the show two months after it opened, on a stopover to Rome. If I had high expectations I cannot recall, but I was surely more excited about my first trip to Europe than anything I saw on stage at the Palace. Most disappointing was Harvey Fierstein's book, which reeked of pandering (unlike his blazing Torch Song Trilogy) to the hetero crowd. But altho Bway musicals were the known province of queers, gays had never been the central characters before; and those involved (all gay, as well), apparently felt this had to go down sweetly, and in feathers, to tame the wary masses. A "groundbreaking" show, thus, that to us way-ahead-of-you folk felt patronizing and old-fashioned. 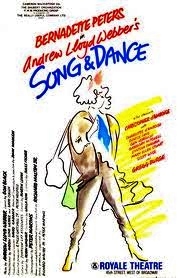 Nor did Arthur Laurents' direction give it the buzz & polish it needed from a Tommy Tune or Michael Bennett. It also lacked a charismatic or starry cast. George Hearn and Gene Barry had all the wattage you'd expect from the Westbury Music Fair, not an original Bway cast. Think of Raul Julia as Zaza, or Kevin Kline; opposite Jerry Orbach, Robert Goulet, or John Cullum. And finally, why keep it set in the South of France? Herman's score sounds Gallic via accordian, but neither it nor the characters are more than cardboard French. Early in the show's creation, a New Orleans setting was considered--which could have leant it a Dixieland flair. But a foreign locale was safer still for a queer-friendly environment--what happens in St. Tropez stays in St. Tropez. With no movie of La Cage in the works, and sensing still more coin to mint in a fully American adaptation, Elaine May set it in Miami's South Beach, rewrote it in her comic voice and gave it to Mike Nichols to spin The Birdcage into another huge hit, with an exceptional cast led by Nathan Lane (still shy his Superstar Bway status) & Robin Williams, with Dianne Wiest, Gene Hackman, Christine Baranski & Hank Azaria giving/getting that golden Nichols polish. Tho it's not a musical, disco club songs give it a musical-adjacent feel; and with a candy-colored neon-lit Miami Beach it looks just as dreamy as Fox's 1940 Technicolor, studio-built Moon Over Miami. My intial skepticism toward The Birdcage, I later realized, had to do with my residual feelings about Fierstein's sugar-coated "medicine" for the uninitiated. By '96, Nichols needed no such softening, even letting Azaria go full-out Latina in an outrageous (and severely under-dressed) performance. 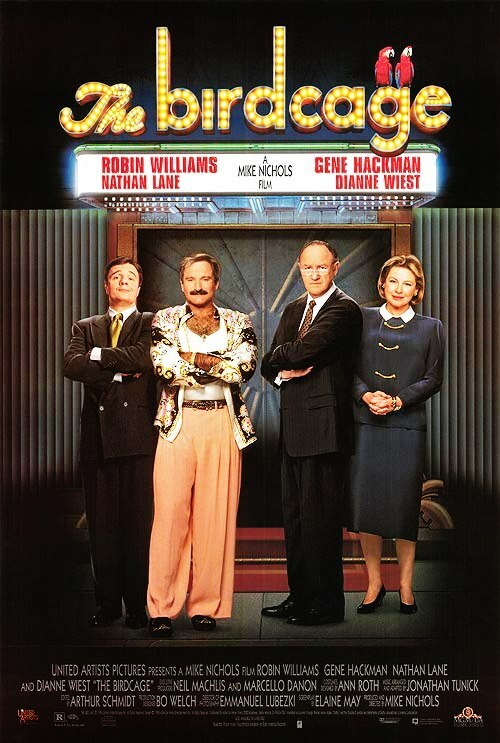 Nathan Lane was no less over-the-top, which was great for Robin Williams to underplay, and both managed to charm despite potentially offensive stereotypes. At this point it appears the material has reached its apogee. And yet, the musical survives, with already two major Bway revivals in 2004 & 2010. And for that credit goes to Jerry Herman. As with all of his scores, just a half dozen songs carry the brunt of the show--a formula that Herman perfected via frequent reprises and slight revisions. The opening club song, "We Are What We Are," a bubbly "Wilkommen" becomes a "Before the Parade Goes By"-like anthem in the defiant first act closer: "I Am What I Am." "With Anne on My Arm," gets both straight & gay pairings, and "Song in the Sand" comes along every several scenes. (I find most of Herman's ballads pedestrian, tho this one is better than usual.) 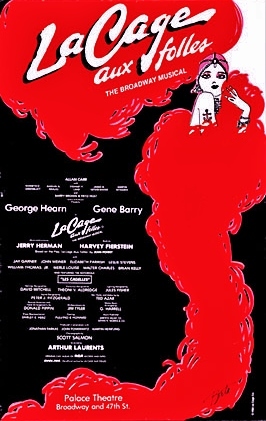 But "A Little More Mascara" and "La Cage aux Folles" are in league with other Herman classics, tho the OCR doesn't really do them full justice, as a listen to the first demo recordings (released in a short-lived series: Broadway/First Take in 2000) would suggest. But even the title song, a rousing can-can that reinforces the Herman tradition cannot outshine the show's 11 o'clock celebration, "The Best of Times," a fitting exclamation point to his Bway output. In the end, Jean Poiret's original story was better served in other incarnations, but La Cage aux Folles--The Broadway Musical, was a canvas Jerry Herman brushed with his unique, if old-fashioned tunefulness. But a film now seems as unlikely as a remake of Rose Marie. Consider the musical progeny of the Public Theater that graduated to Bway: Hair, Two Gentleman of Verona, A Chorus Line, Richard Foreman's Threepenny Opera, The Pirates of Penzance, all hits, and then one stumble, The Human Comedy--but soon followed by The Mystery of Edwin Drood, another hit and an odd one at that. What all those musicals have in common is their inherent theatricality--making translation to cinema not simply a challenge, but one courting futility. Michael Weller and Milos Forman pulled off the trick with Hair, but Drood would present more difficulty still. Billed "the solve-it-your-self musical," the show's gimmick in keeping with the unsolved mystery of Dicken's final, unfinished novel, is to give the audience the decision in choosing the villain as well as the final pair of lovers, making for 37 possible outcomes--something untenable in a screen-play, which has but one finite choice. (Yes, Clue--the movie of the board game--toyed with that in DVD extras, but...) Drood was also a play within a play; Dickens' brutal story, but as played by an 1873 music hall troupe, who play up the contrast between actor and character, going so far as to make Edwin Drood a trouser role (giving Betty Buckley the best part she ever had.) No less than six performers were Tony nominated from the show (including winner, George Rose) but, criminally, not Buckley. Musicals are so tricky that few attempt to write them entirely on their own. Fewer still pull it off: Meredith Willson, Frank Loesser, Sandy Wilson, Jonathan Larson, Lin-Manuel Miranda. Lionel Bart did the hat-trick with Dickens, which may have encouraged Rupert Holmes to tackle Drood, all by himself. A pop song and jingle writer first, Holmes grew into quite a renaissance man; a recording artist then producer (a fave of Streisand for awhile--she sang two of his songs in A Star is Born); and after Drood a playwright, TV showrunner (he wrote all 56 episodes of AMC's early radio sitcom, Remember WENN) and novelist. Later still he wrote four more musicals, but without composing their scores. Which is a shame, as Drood reveals Holmes has a very rich and theatrical musicality--one unlike any other composer working in mid-'80s theater. Holmes even orchestrated the show, which makes the OCR glisten in a way many other musicals of the period do not. Inspired by the British pantomime shows from his youth in England (he would grow up in America), Holmes managed to compose a timeless if period-appropriate sound, using elements of Gilbert & Sullivan, symphonic song, operetta and English music hall, without reeking of pastiche. Nor was there any hint of imitation Sondheim. I came to the show late, having missed it in NY, and introduced via a bus & truck company in Pasadena, which did little to spark my appreciation. It was only years later that I came upon the OCR with fresh ears and found it a revelation. Songs like "Two Kinsmen," "Moonfall" and "Perfect Strangers," each utterly unlike the other are unique yet inviting. More conventional tunes such as the G&S-like tongue-twister "Both Sides of the Coin," and the round-robin "Don't Quit While You're Ahead" (which also doubles as another number, "Settling Up the Score") are no less impressive. "The Writing on the Wall" builds to a stirring finale, and "The Wages of Sin" offers a sisterly nod to Lionel Bart. Aside from Buckly & Rose, the show starred British jazz vocalist and West End actress, Cleo Laine in her Bway debut and many fresh performers like Howard McGillin and Patti Cohenour. Donna Murphy was in the chorus as were Judy Kuhn and future director, Rob Marshall. A 2012 revival was no less on the emerging-star nose: Will Chase, Andy Karl, Stephanie J. Block, Jessie Mueller, Betsy Wolfe; with the eternal Chita Rivera in Laine's role of Princess Puffer. Tho the show with it's audience-chosen ending is not an obvious screen candidate, a potentially clever movie could be adapted from Holmes' concept--perhaps adding yet another layer of remove, having modern actors wrestling with their screen roles as Victorian musical hall actors, performing a dark work by Dickens. (Much as the period/modern contrast was beautifully realized in Harold Pinter's screenplay of The French Lieutenant's Woman). Of course its artful, pop-free score wouldn't have been a mass-market lure unless, perhaps Holmes' fan, Babs took a crack at playing Puffer (not so bad an idea). But even then it's too "special"--caviar for the general. Nice flick if you can get it--Hlwd isn't going to. But if you listen to the OCR with closed eyes, you might envision it. I have. turned the Winter Garden into a litter box--for 18 long years. Undeniably, Lloyd-Webber found musical inspiration in T.S. Eliot's words and in "Memory" found an instant-classic aria comparable to Puccini--which some cite as an accusation. But the massive garbage heap set, the decidedly sub-par choreography and the cast of anthropomorphic felines made for a target of ridicule equal to the show's global success. I confess I enjoyed listening to the album until the I saw the show--after which I've almost never desired to hear it again. Given the musical's almost unprecedented popularity, it's hard to understand why a movie hasn't yet materialized. (The standard filmed stage show was made to soak up coin in markets like Japan). Lately there's been more printed discussion of a feature film again in the works, and this may well happen. Tho it baffles me why they'd attempt it in live action when it would seem a natural for animation. Why hasn't Disney weighed in? revue as Cats; tho a step even further from the human condition: these characters are trains; for Chrissake, played by actors on roller skates. Set to a pop-rock-disco score of little distinction, I can scarcely find energy to expend any thoughts about the musical--despite having enjoyed it well enuf in the moment when I saw it in Vegas (where it had a 4 year run at the Hilton--a first for a Bway show on The Strip. Even more astonishing, it ran 18 years in London, but only 2 on Bway--even at a time when the pickin's were slim. More than any other L-W spectacle this one could only be imagined on film as animation. Of the waning years of Bway's 20th century Ethan Mordden noted, "These days our flops are sometimes more musical than our hits." Scores more deserving of their Bway fates include, Rags, The Human Comedy, Smile, A Doll's Life, and Roza. But none more so than Chess. An ambitious pop opera from Tim Rice after his split with Lloyd Webber--showing a clear fork in direction. Rice, who once lobbied for a show about the Cuban Missle Crisis (but surrendered to JCSuperstar instead) remained intrigued with the Cold War as a musical subject. L-W moved on to cats. 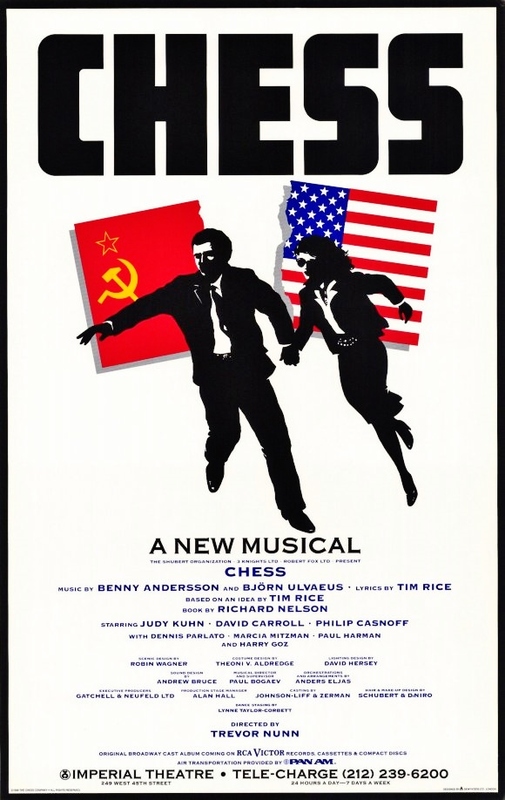 Rice, inspired by the politics behind chess tournaments and the outsized characters of Bobby Fischer & Anatoly Karpov (who never played a match despite many attempts) saw an angle for his Soviet/American theme, and recruited half of ABBA (Benny Andersson & Bjorn Ulvaeus, looking to broaden their portfolio) to write the score. Like before, Rice put the show on disc to raise its profile. An audio "out-of-town tryout," the elaborate double-album featured Brit diva, Elaine Paige, backed by the London Symphony Orchestra--and was on its own terms, a hit. Initially, Michael Bennett was set to direct the West End premiere, but was forced to withdraw when AIDS began to overtake him. Trevor Nunn took over, and got the show a 3-year run, but it wasn't deemed ready for global export. Nunn himself was not satisfied, and hoped to redeem himself with the Bway production as a radical makeover; most significantly the addition of an actual libretto by Richard Nelson, dropping the thru-sung pattern set by previous Rice/L-W projects. 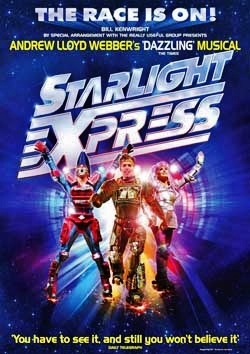 But even a stellar cast couldn't shine thru a dull production, poorly staged and with little visual flair. (You could gauge all that from just the Bway poster.) Opening in the shadow of the review-proof behemoth, Phantom of the Opera, gave critics license to carp about soulless British (p)operas, and the show staggered thru a two month run. It was only on impulse that I bought a seat at TKTS for a matinee at the Imperial, while on another of my less-frequent jaunts to NY. To my surprise I found the show quite moving; the music thrilling. For sure the production was flawed, but Judy Kuhn, David Carroll and Philip Casnoff were flawless, and the addition of a spoken libretto gave the music breathing room--which made the score, as it rose up in great swells, all the more effective. For some time after that I was obsessed with both the concept album and the Bway OCR, each with their own special highlights. The story's set-up is awkward in both, but once we get to the "Quartet (A Model of Decorum and Tranquility") the music kicks into gear, following one beautiful number after another. The "Terrace (Mountain) Duet" and "You & I" are pure operetta in form, yet sound entirely contemporary in style even draped in lush symphonic orchestration. "Anthem" has the majesty of a real national statement--the song of Diaspora. "I Know Him So Well" is a solid rock ballad, a great female duet. But the show's pop single, "One Night in Bangkok" is the least interesting and most dispensable number in the score. "Nobody's Side," on the other hand is explosive and catharic, and for several years became my go-to song to blast when I needed release from the frustrations of my career or personal relationships. The Bway score was edited, restructured and re-arranged, and best of all blessed with a new song, "Someone Else's Story," that has to be among the greatest of the decade (aside from being on point with my own feelings at the time, stuck in a losing emotional quagmire.) Despite its tarnished Bway drive-by, Chess continues to find fans and productions. I drove to Orange County for an arena-sized tour in May '90; and saw an intimate equity-waiver black box version several years later. All imperfect, yet all making claims for the show's worthiness. With the break-up of the Soviet Union the musical seemingly lost its bite and relevance for some time, and now is consigned a period piece--which with time only works in its favor. As with nearly everything from Bway in the '80s, Hlwd wasn't showing much interest. But I could see a movie made of Chess quite clearly--one directed by Tim Burton. He would get to a musical much later, and one that made sense with his sensibility (perhaps a bit too obviously), but Chess would've been a more interesting choice--with or without Johnny Depp as our angry young American. If not John Travolta or Jon Bon Jovi--or, for that matter any charismatic rock star. As for the romantic Russian, how about Daniel Day Lewis or Ralph Fiennes? And for their vis a vis, the field ranges from Juliette Binoche to Helena Bonham Carter to Marisa Tomei. With a tightened screenplay, and Burton's unique visual palette, Chess could've been one beaut of a film musical. But in the wake of Reagan's "Morning in America" it was mostly Bedtime for Broadway. The Main Stem survived by virtue of imports and revivals. New American musicals were few and fewer still were hits. Some of the better ones were flatly rejected, as Bway's national influence sunk to a new low. This was no Silver Age, it was a Bronze.